Bird flu has been confirmed in a small flock of chickens and geese at a site near Diss, South Norfolk. Poultry keepers have been urged to ramp up biosecurity in light of another bird flu outbreak in geese and chickens. 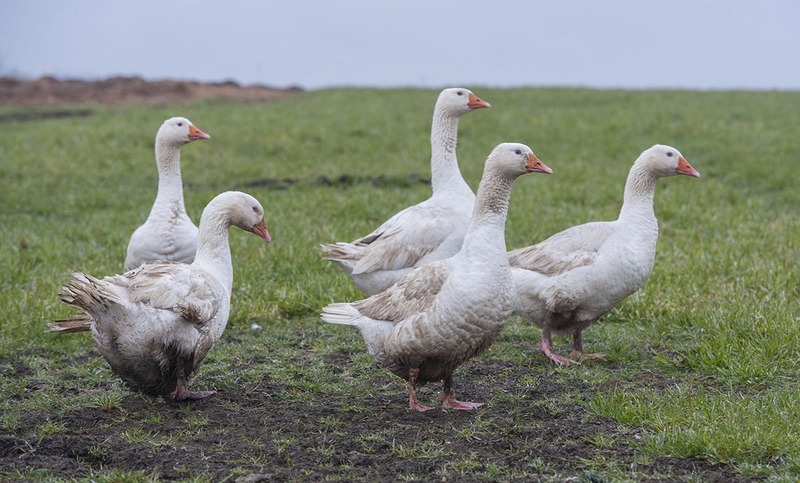 The disease was confirmed in the 35-strong backyard flock in Diss, South Norfolk on June 3 after wiping out two Lancashire backyard flocks earlier in May. Any birds not already dead will be later culled and an investigation is underway to determine the source of infection. NFU poultry adviser Aimee Mahony said it was likely the geese had been carrying the disease for some time. It came as Defra relaxed measures across the country and confirmed the UK risk level as low, meaning ‘outbreaks are rare but can occur occasionally’. She said: “As it stands, usual regulations are in place and there will be no national lockdown. “From a textbook stance, all migrant birds have left and it has got warmer where the disease struggles to survive in the environment. Ms Mahony said keepers must remain vigilant and warned the ‘unpredictable disease’ could still ‘pop up anywhere’. “The sector is very good at biosecurity but it needs to be ramping it up at times like this,” she added. A 3km Protection Zone and a 10km Surveillance Zone remain in place around one site near Diss, South Norfolk and around two premises near Thornton, Wyre, Lancashire.